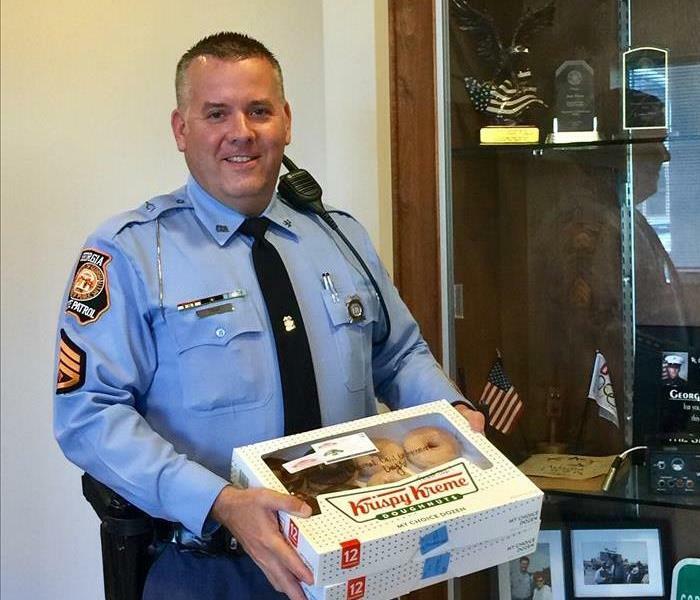 Celebrating National Law Enforcement Appreciation Day by giving sweet breakfast treats to local agencies in our communities. Thank you too all of the brave men and women that keep our cities safe. Even though Law Enforcement Appreciation Day is over we continue to stay thankful and grateful for the continued sacrifice that these brave men and women make everyday to keep us safe. Did you know that SERVPRO of Waycross, Hinesville & Douglas do carpet cleanings? Carpet cleanings are important to keep a clean home and to free up any allergens that may be trapped in the carpets fibers. 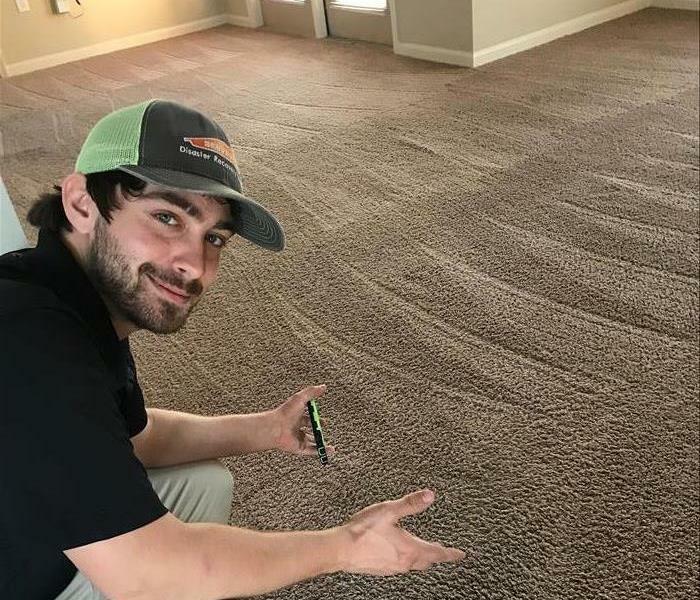 Seen here is one of our SERVPRO of Waycross, Hinesville & Douglas team members showcasing a freshly cleaned carpet. Need to schedule a carpet cleaning? Our office girls put customer service as their number one priority. They maintained a mobile office all while completing a pack out after a fire. 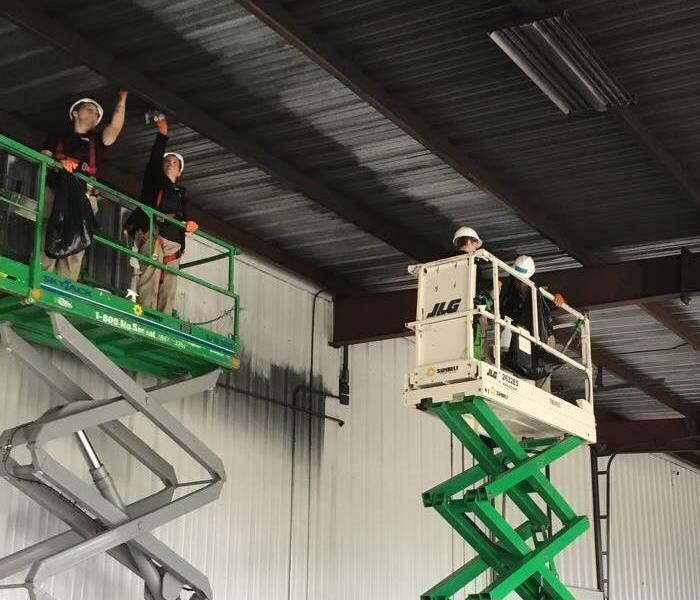 Our teamwork is something to brag about here at SERVPRO of Brunswick! 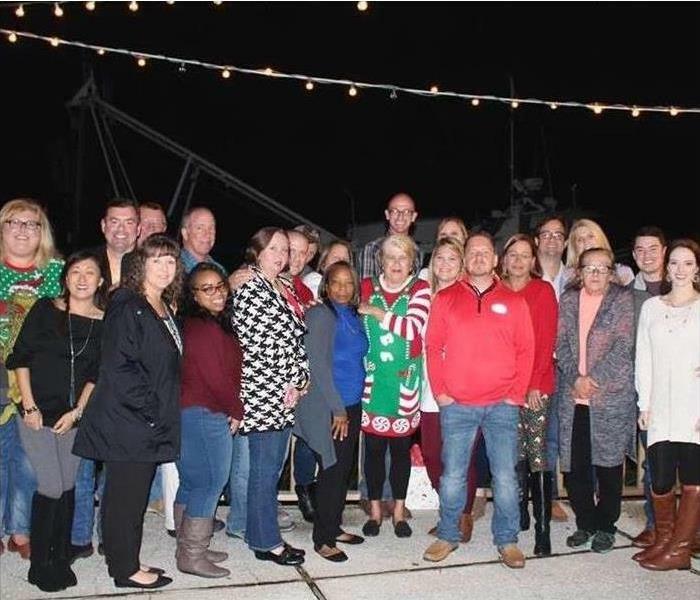 Our SERVPRO of Waycross, Hinesville & Douglas family celebrated the Christmas season a little early this year on St. Simons Island. We wish you and yours a very Happy Holiday season. Remember that the SERVPRO of Waycross, Hinesville & Douglas are always HERE to HELP 24/7 even during the holiday season. 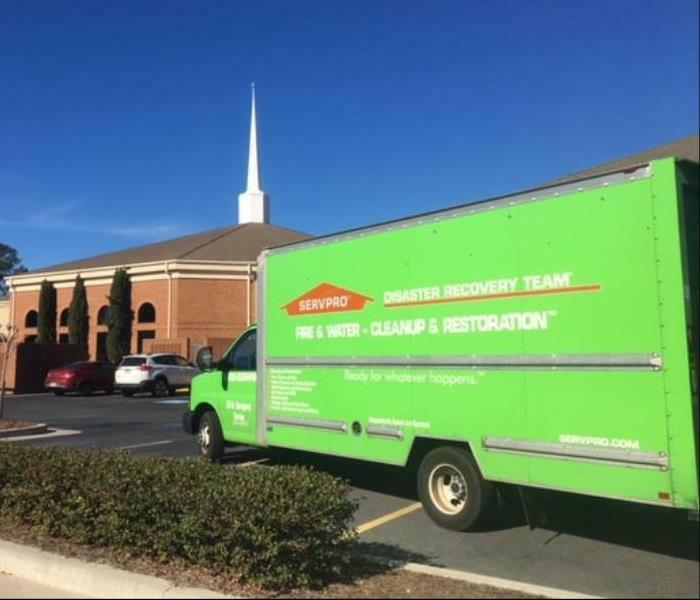 SERVPRO of Brunswick is HERE to HELP after a church fire in South Georgia. 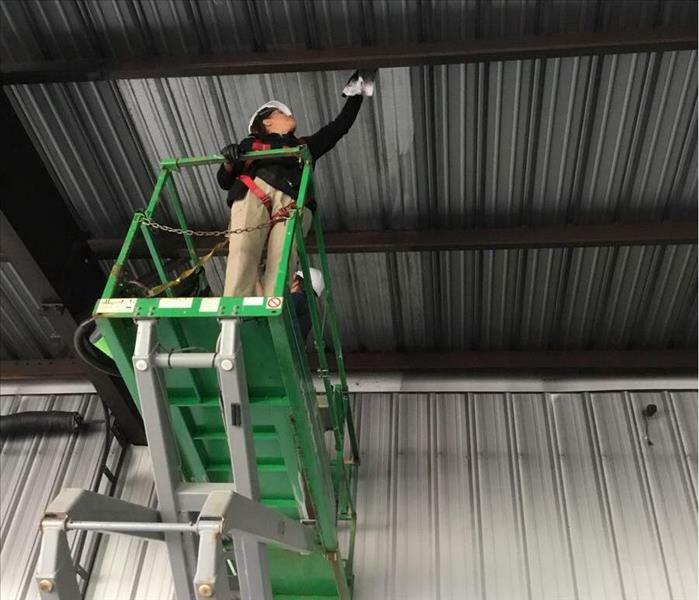 We continue to work diligently around the clock to restore the property to pre-damage conditions before Christmas. Download our FREE Emergency Ready Plan app and create a profile today! Beneficial for homeowners, property managers, and business owners! Request a SERVPRO of Waycross, Hinesville & Douglas by tapping one button! Begin your Emergency Ready Profile also known as a ERP today- and let SERVPRO assist you in your preparation efforts! 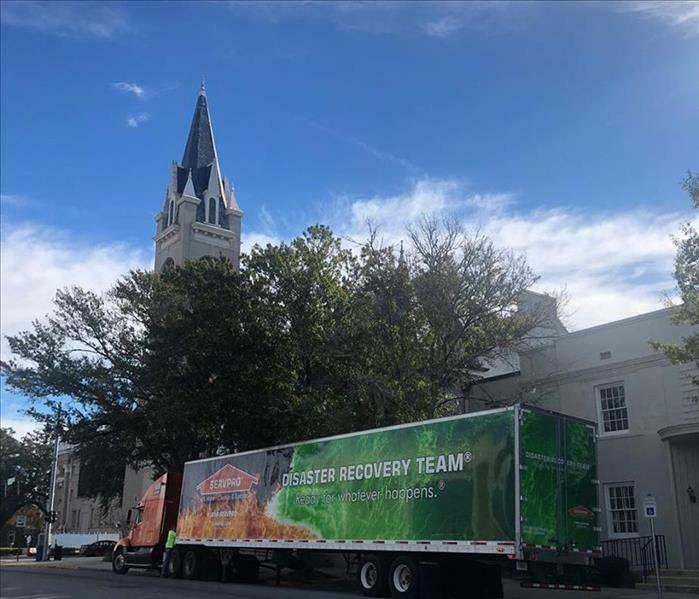 SERVPRO of Waycross, Hinesville & Douglas arrived ready to help in the Carolinas after Hurricane Florence. SERVPRO specializes in storm response. We are always HERE to HELP after any size disaster. Bring back the NEW CAR smell and goodbye to smoke odor. Have you recently bought a used car that has a lingering cigarette smoke smell? Have you tried all the DIY tips and tricks in the books? 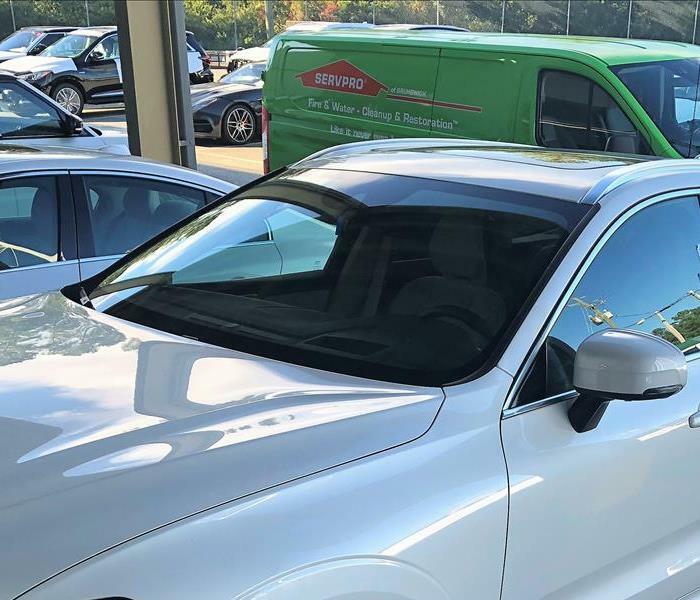 Well, it may be time to call in the professionals to rid you of the smoke odor; bringing you that new car smell back "Like it never even happened." Give us a call today to set up a deodorization appointment. Any home or commercial property can quickly become infested with mold if a source of water is present. Mold can spread throughout a property in as little as 48 hours. Since mold can produce allergens and irritants, you should call us to inspect your Waycross home if you suspect you have a mold problem. If mold is found, we have the training, equipment, and expertise to remediate your mold infestation. Keeping our Waycross Communities safe by teaching fire safety tips- like stop, drop, and roll. Thank you Sparky from Waycross Fire Department for coming out to our 1st Annual Emergency Preparedness Event. Image of long term, microbial growth that is starting to cause structural damage to sub-floor and supporting joists. Fixable and preventable with proper remediation. Schedule a free INSPECTION today. This is the daily set up at a commercial fire loss with SERVPRO. Our mobile units allow us to bring all of our commercial resources to the job site. 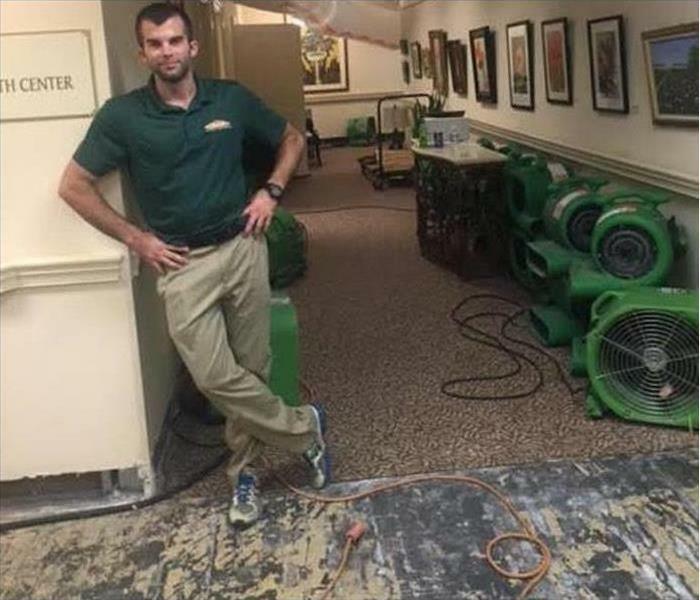 The General Manager of the plant couldn't believe the amount of resources SERVPRO brought to make it "Like it never even happened." Dealing with the aftermath of storm damage can be a stressful time for all involved. Let us here at SERVPRO of Waycross, Hinesville & Douglas help you in dealing with this damage and alleviating some of the stress! When it comes to storm damage, a home can only take so much before it begins to give way. When that happens, the storm damage and water damage can come in fast, as was the case in this home. Storm damage can come fast, and oftentimes it comes with unforeseen complications. If your home or business sustains serious storm damage and water damage, be sure to contact SERVPRO of Waycross, Hinesville & Douglas! Nobody can be fully prepared for a storm; that is just the nature of storm damage! 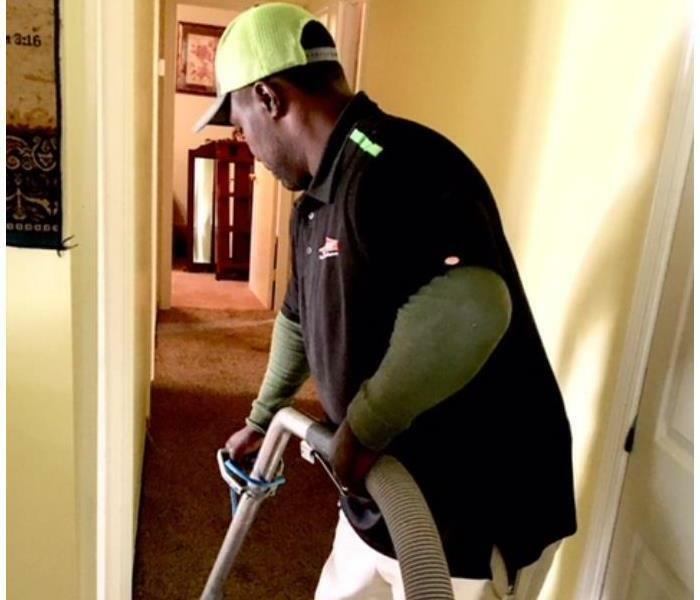 SERVPRO of Waycross, Hinesville & Douglas is here to help when your home or business sustains unfortunate damage and you need to be back on your feet ASAP! 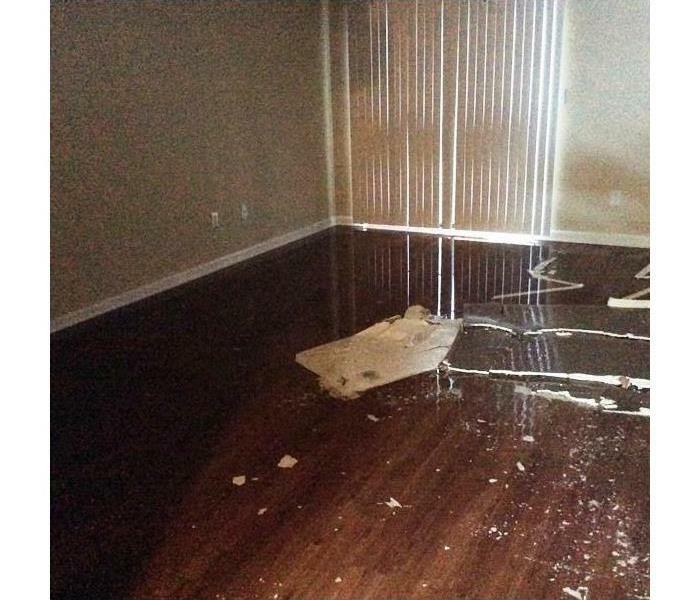 When it comes to storm damage and water damage, preventative measures are often the best method! However, that isn’t always enough, and that is where SERVPRO of Waycross, Hinesville & Douglas comes in handy! 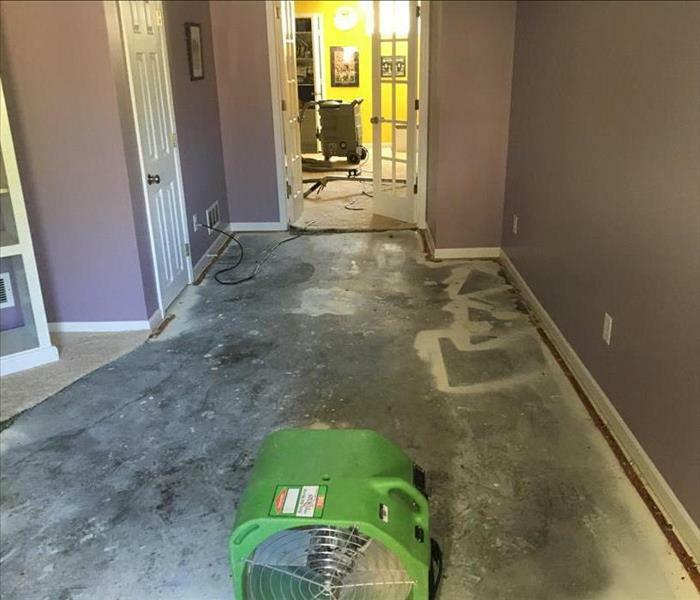 When the water damage is severe, we bring out all of our big guns to help you get back on track fast! 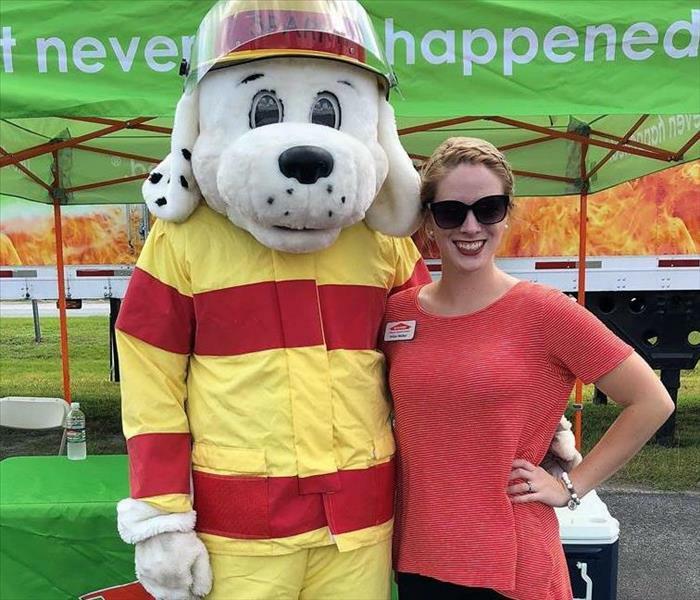 SERVPRO of Waycross, Hinesville & Douglas is here to help you with any of your emergency service needs. Sprinkler systems are wonderful tools to have at your disposal in case of a fire emergency! However, in this unfortunate case, they malfunctioned and caused some water damage to the nursing home. 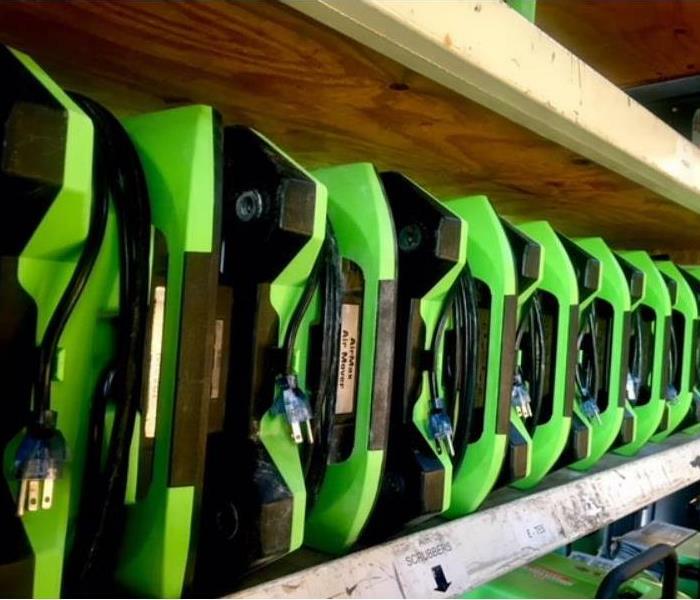 SERVPRO was able to help take care of the damage fast! The Marshes Edge Community Nursing Home received some unfortunate water damage when their fire safety sprinkler system malfunctioned, causing the sprinklers to soak everything! 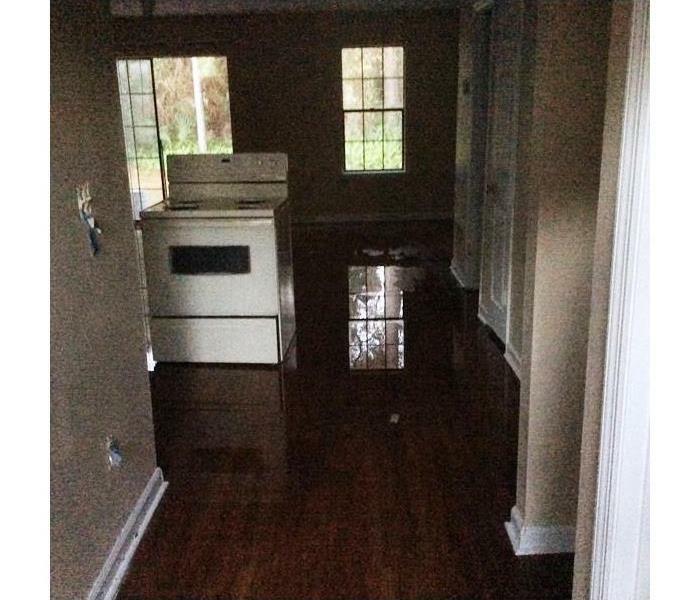 SERVPRO was able to help with the water damage on site. 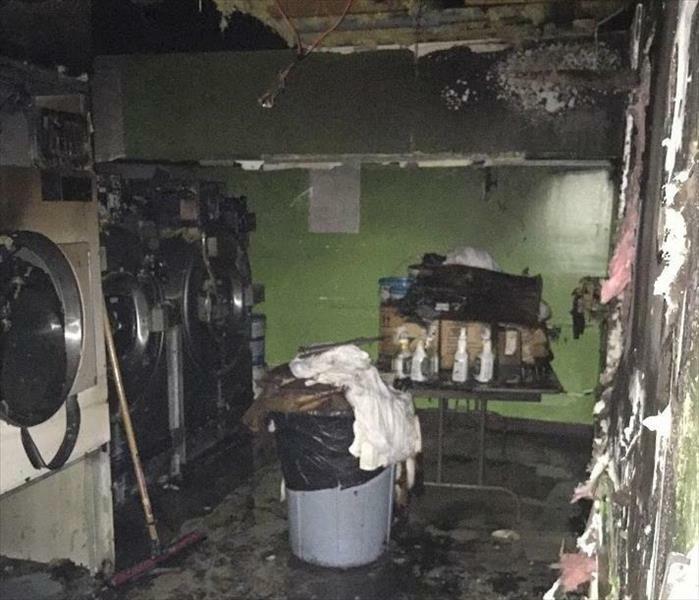 When the fire safety sprinkler system malfunctioned at Marshes Edge Community Nursing home, there was an unfortunate amount of water damage done to the property. 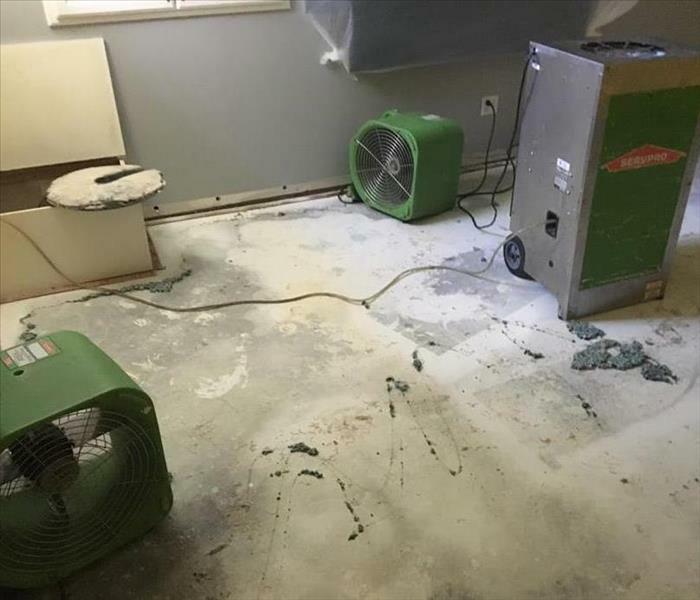 Thankfully, SERVPRO was able to help out fast! Dealing with Mold Growth Fast! 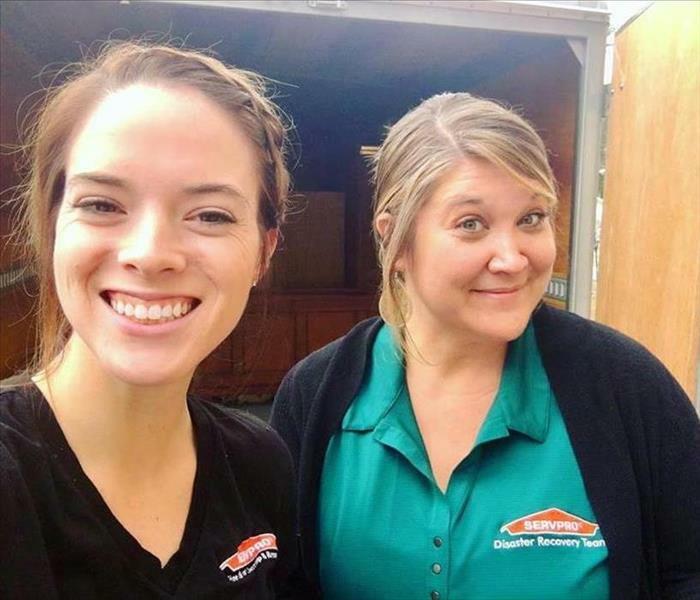 As soon as mold growth arises, call our dedicated team at SERVPRO of Waycross, Hinesville & Douglas! We’ll come to you and make sure we eradicate every trace of mold in your home or business. 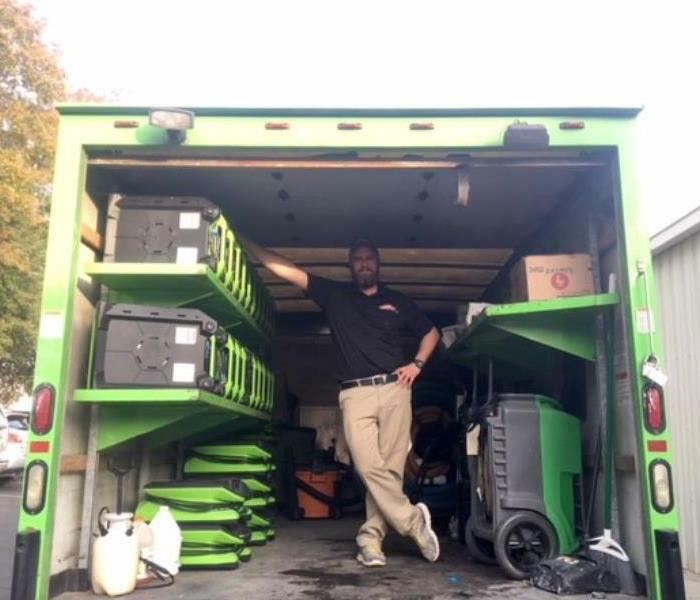 No matter the size or severity of the fire damage, SERVPRO of Waycross, Hinesville & Douglas is well-equipped with the tools, technique, and training needed to help restore your business back to its pre-damage state! 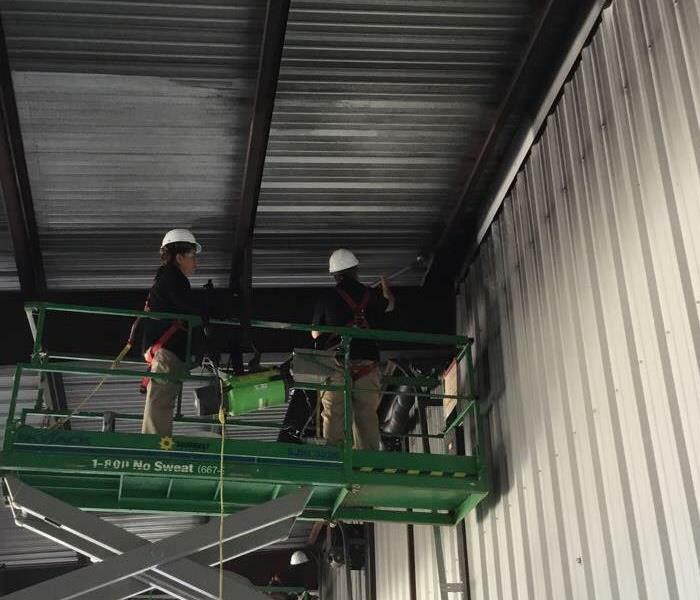 Cleaning the soot and smoke damage from the ceiling is no easy task following commercial fire damage. Fortunately, SERVPRO of Waycross, Hinesville & Douglas is well equipped with the tools necessary to complete the job! 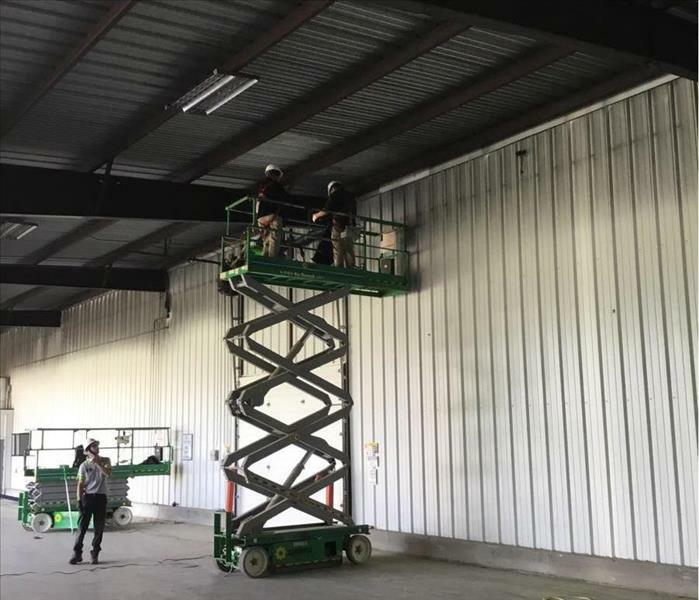 There are a number of difficulties that come with fire damage that you might not expect, including water damage from firefighting efforts and smoke and soot damage on walls and ceilings. Let SERVPRO of Waycross, Hinesville & Douglas Help! Faster to Any Commercial Disaster! 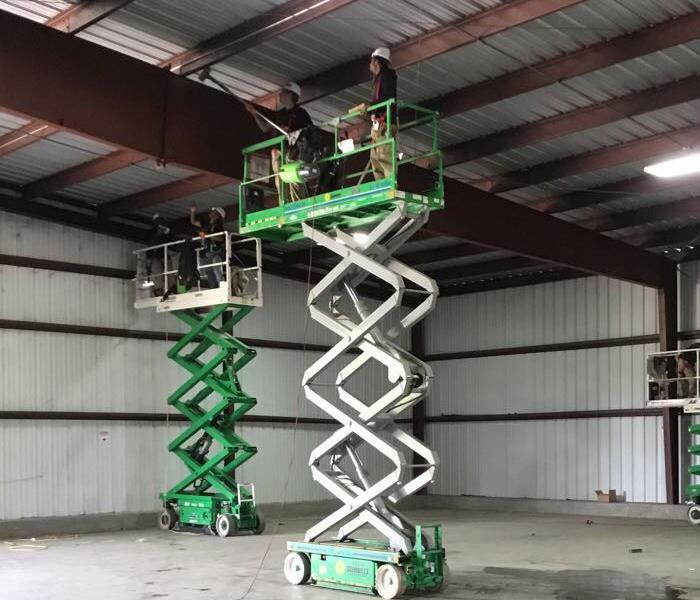 No matter the hour, SERVPRO of Waycross, Hinesville & Douglas is available and willing to help undo the damage to your commercial property and help you get your business up and running again ASAP! Fire damage can be tricky to handle if you don’t know what you’re dealing with. Luckily, SERVPRO of Waycross, Hinesville & Douglas knows fire damage (...and water damage, mold growth, etc.) and can help make your restoration process as easy as possible! 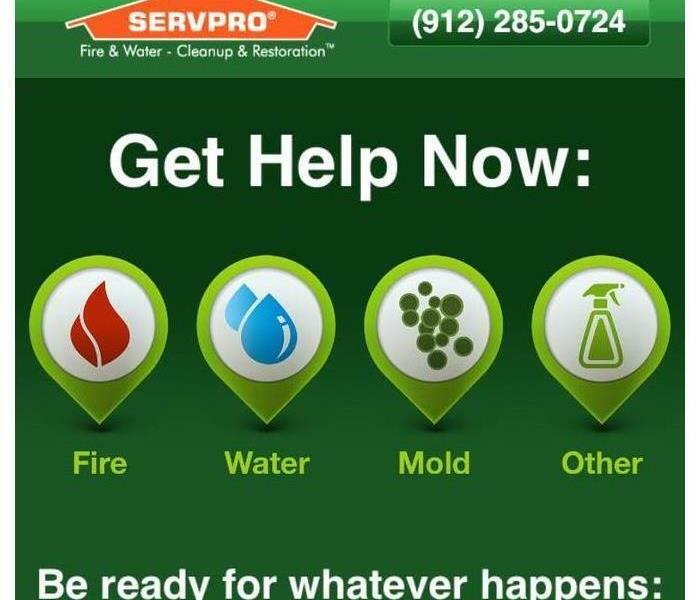 As soon as you think you may have a mold problem, call our dedicated team at SERVPRO of Waycross, Hinesville & Douglas! We’ll come to you and make sure we eradicate every trace of mold in your home or business. Disaster strike at your business? Call SERVPRO of Waycross, Hinesville & Douglas ASAP! We’ll bring our dedicated disaster recovery team to take care of any fire damage, water damage, or mold damage you may be experiencing. 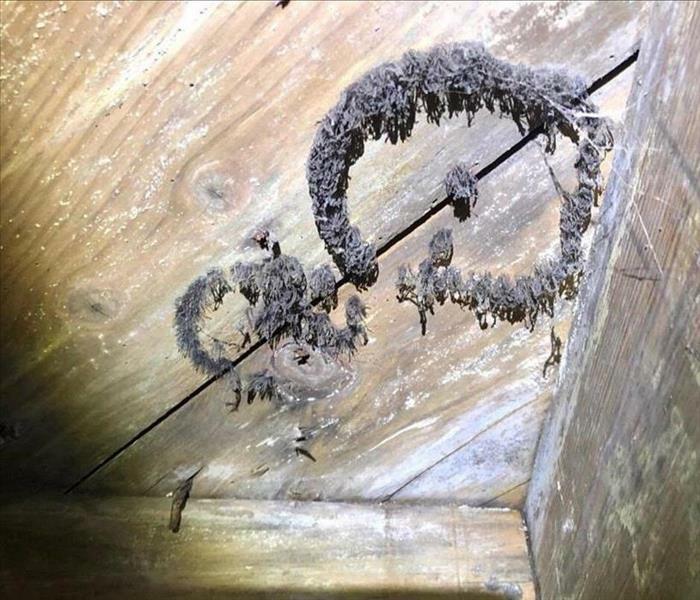 When mold strikes, it is important to call the experts at SERVPRO of Waycross, Hinesville & Douglas as soon as possible! Our dedicated team will come out and take care of any mold damage before it spreads and causes even more problems! 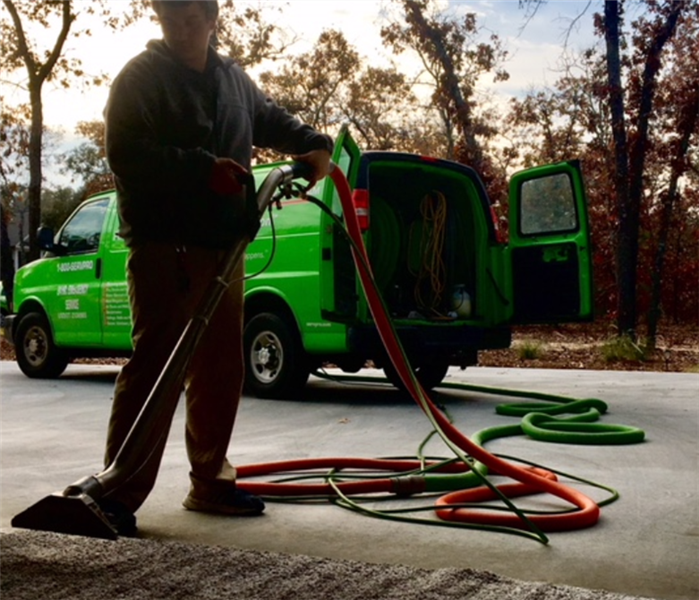 SERVPRO of Waycross, Hinesville & Douglas offers a whole host of commercial services, including everything damage restoration to professional cleaning services. 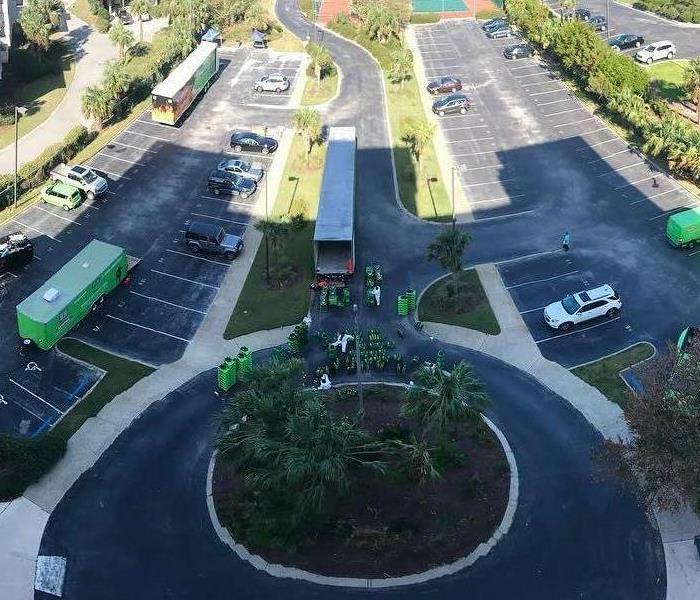 Trust our dedicated team at SERVPRO of Waycross, Hinesville & Douglas to take care of you while ensuring that our services cause minimal disruption to your business. Storm damage is unpredictable and complicated, so a simple problem may actually just be the tip of the iceberg! 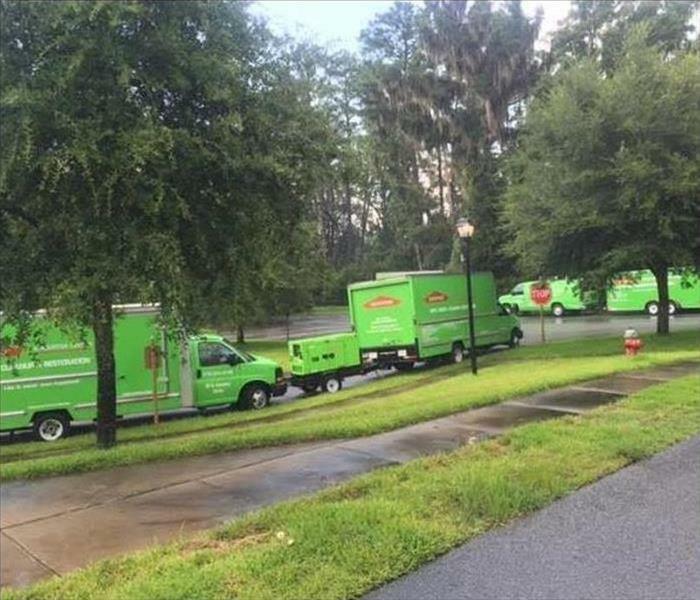 Call SERVPRO of Waycross, Hinesville & Douglas to come out and take care of every little bit of damage done. 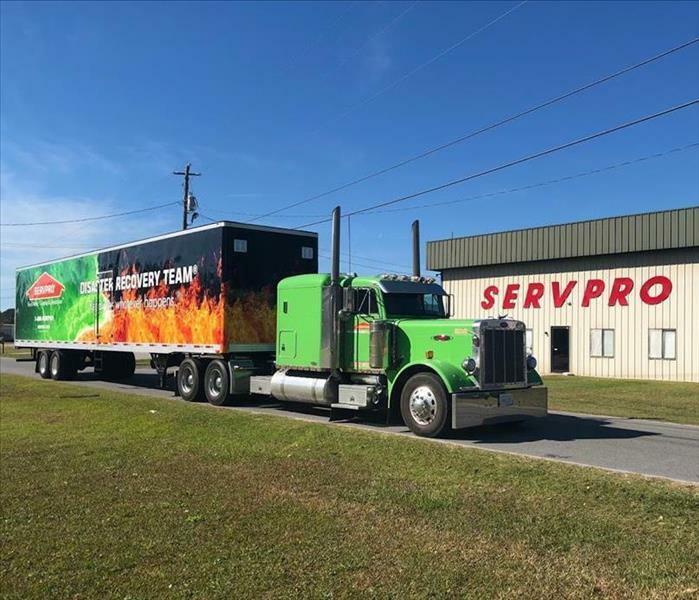 Trust our experienced professionals at SERVPRO of Waycross, Hinesville & Douglas to take care of every aspect of your fire damage restoration process and make sure that by the time we leave, it seems "Like the fire never even happened!" 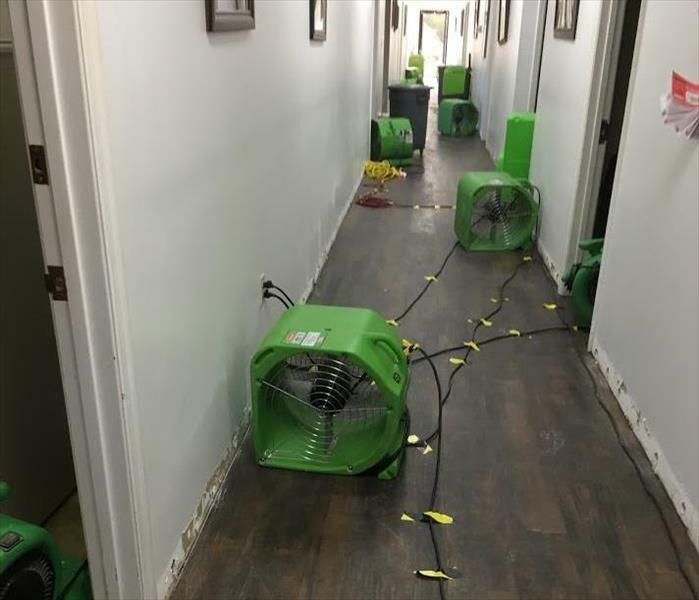 Here at SERVPRO of Waycross, Hinesville & Douglas, we know that time is money when it comes to your business and damage it may have received; the longer your business must stay closed for restoration after unfortunate water damage or fire damage, the more business you will lose. That is why we are dedicated to getting your business back on its feet ASAP! SERVPRO of Waycross, Hinesville, and Douglas responding to a grease fire in a residential area. 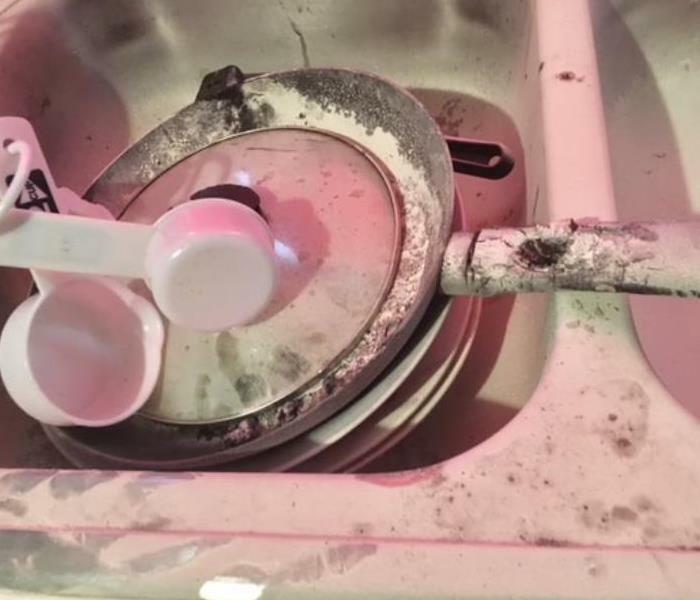 Seen here is the pan that was involved in the fire. The home needed air scrubbers as well as cleaning of soot off of ceiling and walls. 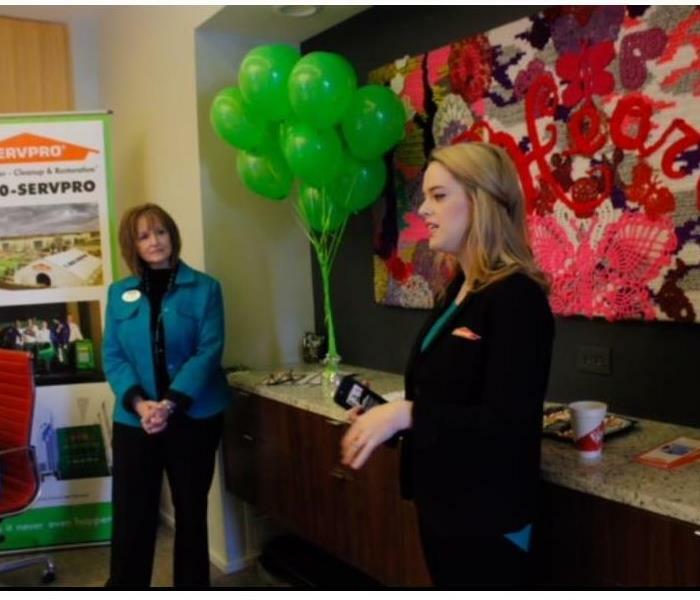 Our SERVPRO of Waycross, Hinesville & Douglas Business Development Representative Ericka Walker spoke to Douglas-Coffee County Chamber Members about SERVPRO. We love our Waycross community, and we appreciate any opportunity to reach out to those around us! On this job, SERVPRO of Waycross, Hinesville & Douglas responded to commercial water loss caused by an overflowing toilet overnight. 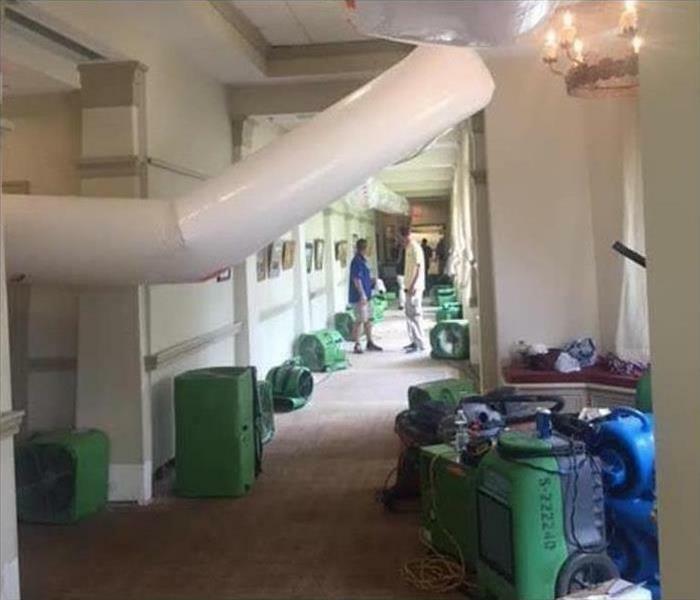 The damage was extensive, but luckily we were able to get in there fast and remove the water by setting up dehumidifiers and removing effected materials. 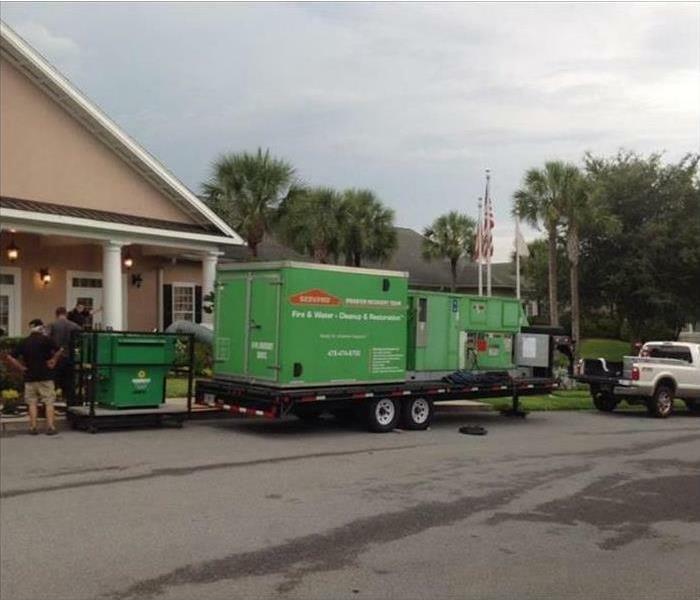 SERVPRO of Waycross, Hinesville & Douglas responding to commercial water loss caused by an overflowing toilet overnight. 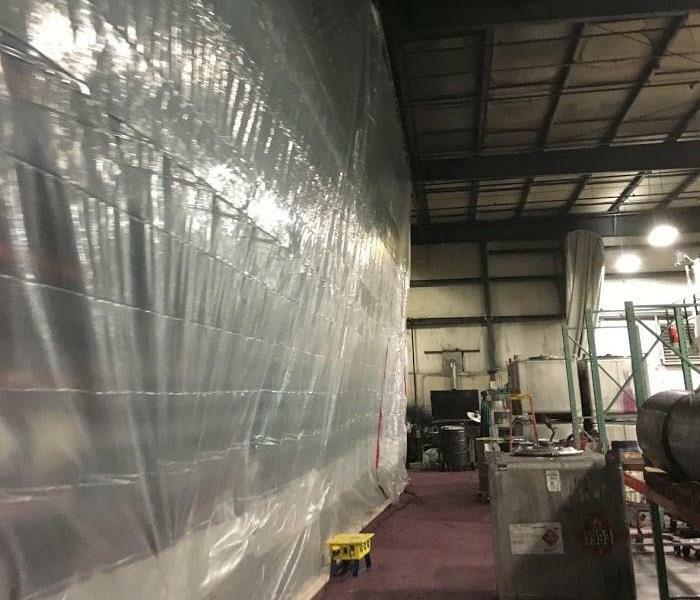 The damage was extensive, but luckily we were able to get in there fast and remove the water by setting up dehumidifiers and removing affected materials. 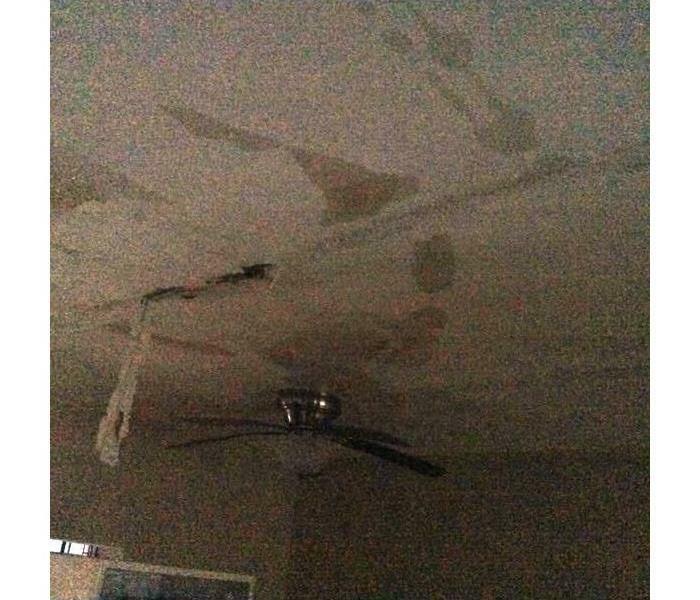 SERVPRO of Waycross, Hinesville, and Douglas after a water loss caused by a broken pipe in the kitchen ceiling. This job needed a large scale dry out and flood cuts because of the amount of water. Here, one of our SERVPRO of Waycross Technicians can be seen completing an area rug cleaning for clients after house training their pet. We were able to completely remove the pet odor and save the rug! 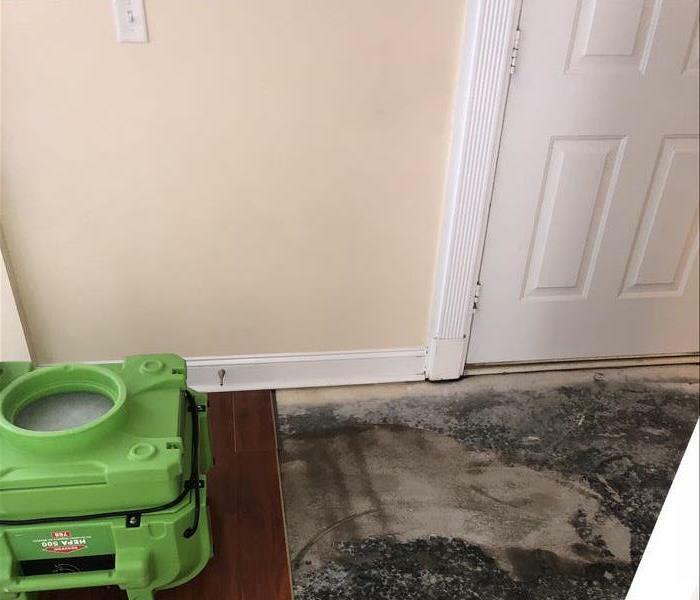 Our SERVPRO Technician can be seen here extracting excess water out of the carpet of one client after their washing machine overflowed, causing some severe water damage throughout the entire house. 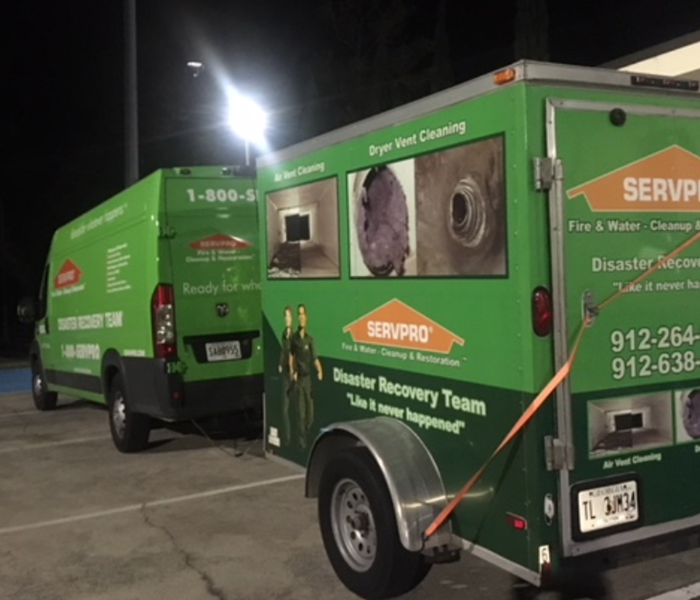 A local business in the Waycross area found mold growth in their offices, and they contacted SERVPRO of Waycross, Hinesville & Douglas for assistance! We responded immediately and assisted in their mold remediation. 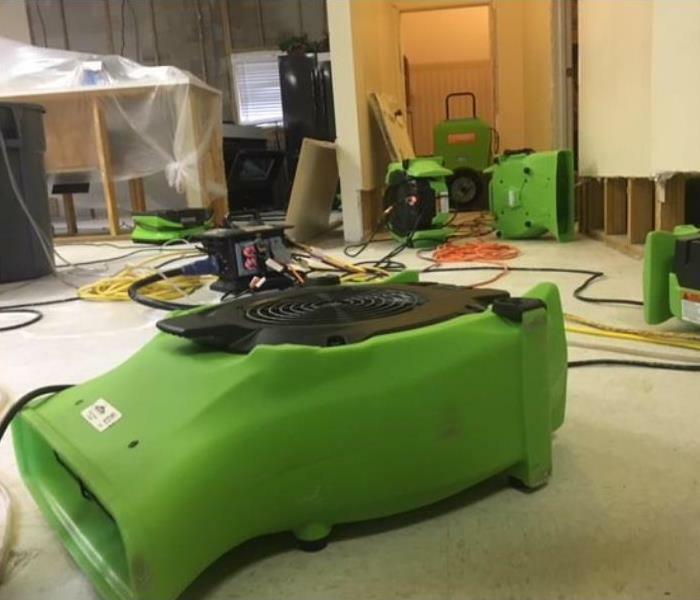 After finding mold in their office, a local business contacted SERVPRO of Waycross, Hinesville & Douglas to help remediate the damage, and we were happy to oblige in getting their business back to its former condition!